The keynote in the mouth of every prophet-preacher, whether in Isaiah’s day or Jesus’ day or our day, is, “Your God reigns!” God is the king of the universe. God is the king of the universe. He has absolute Creator rights over this world and everyone in it. But there is rebellion and mutiny on all sides, and his authority is scorned by millions. So the Lord sends preachers into the world to cry out that God reigns, that he will not suffer his glory to be scorned indefinitely, that he will vindicate his name in great and terrible wrath, but that for now a full and free amnesty is offered to all the rebel subjects who will turn from their rebellion, call on him for mercy, bow before his throne, and swear allegiance and fealty to him forever. The amnesty is signed in the blood of his Son. John Piper. 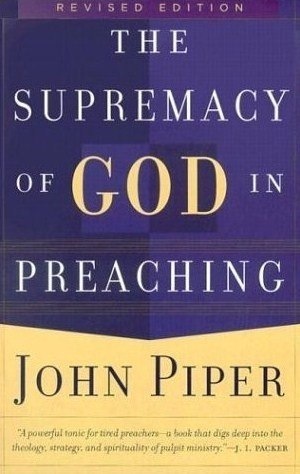 The Supremacy of God in Preaching. Revised Edition. Baker Books, 2004.26-27. John Piper. The Supremacy of God in Preaching. Revised Edition. Baker Books, 2004. 13. More than ever I believe in preaching as a part of worship in the gathered church. 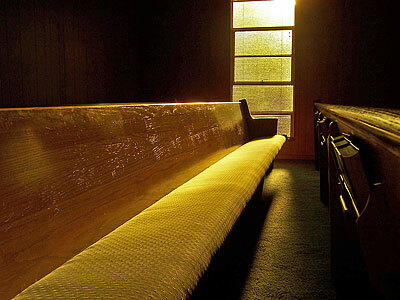 Preaching is worship, and it belongs in the regular worship life of the church no matter the size of the church. In the small church it does not become conversation or “sharing.” In the megachurch it does not become hype and jingles. Preaching is worshiping over the Word of God—the text of Scripture—with explanation and exultation. John Piper. The Supremacy of God in Preaching. Revised Edition. Baker Books, 2004. 9.